Advanced Pharmacy Practice for Technicians goes beyond the basic training requirements for pharmacy technicians. 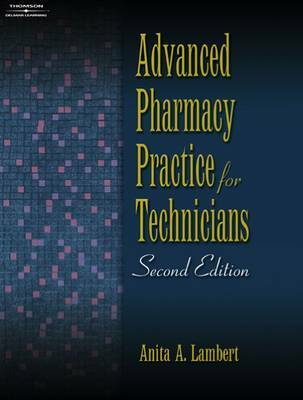 It is the only book available that covers non-traditional areas of pharmacy practice for technicians, including telepharmacy, long-term care, home health care, managed care, hospice settings, nuclear pharmacy, and federal pharmacy. The characteristics of each specialty area are described and differentiated and the role of both the pharmacy technician and the pharmacist are clearly outlined for each practice setting.